Strawberries and chocolate are always a good combination. 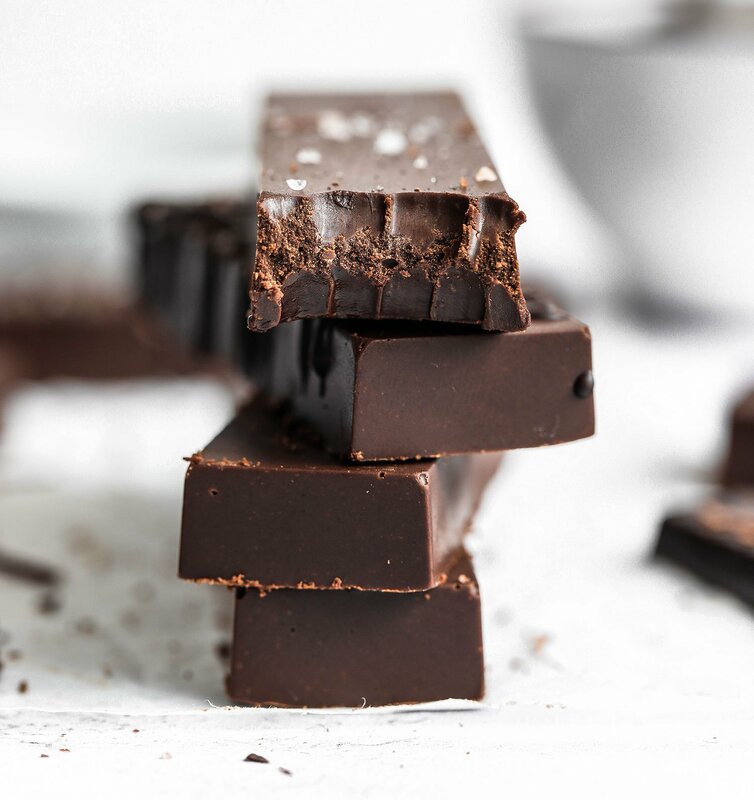 The complex flavour and sweetness of the strawberries complement the depth of taste and bitterness of the dark chocolate so well. Another great combination with either/or is salted caramel! Seriously, those three flavours are a combination made in heaven – one that you must try asap if you haven’t already! Initially I had the idea of creating a salted caramel strawberry cheesecake, but I didn’t just want to stop there. I wanted to make something a little different but equally moreish if not even more so. 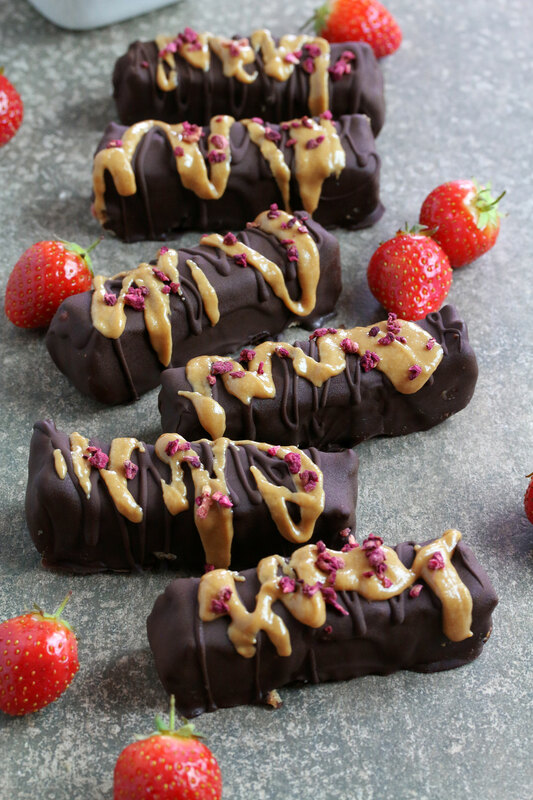 That’s when I had the idea of creating these strawberry salted caramel cheesecake bars individually covered with a dark chocolate shell, because who doesn’t love a chocolate bar? 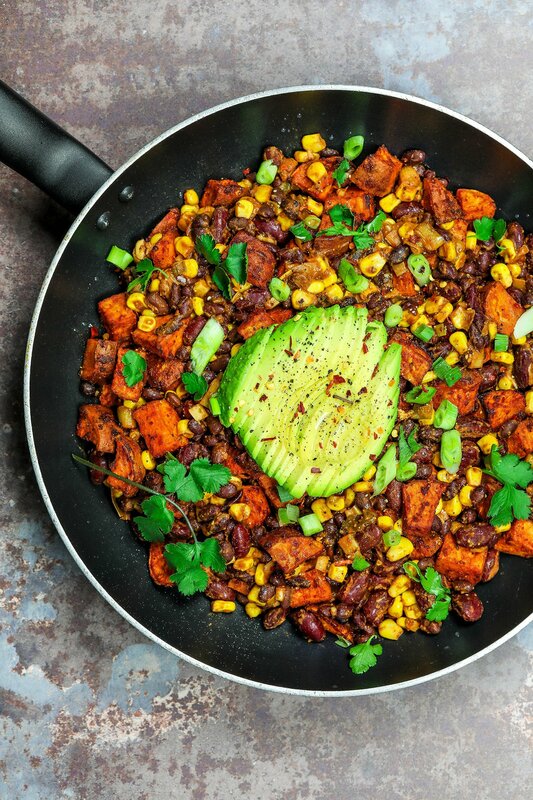 Especially when it’s healthy, vegan and gluten-free! 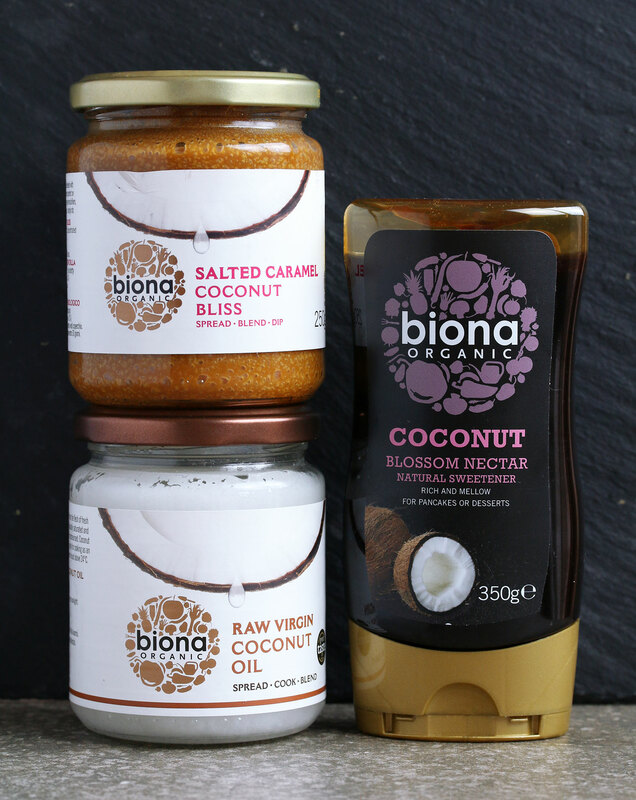 Biona were kind enough to send me some of their amazing coconut products. 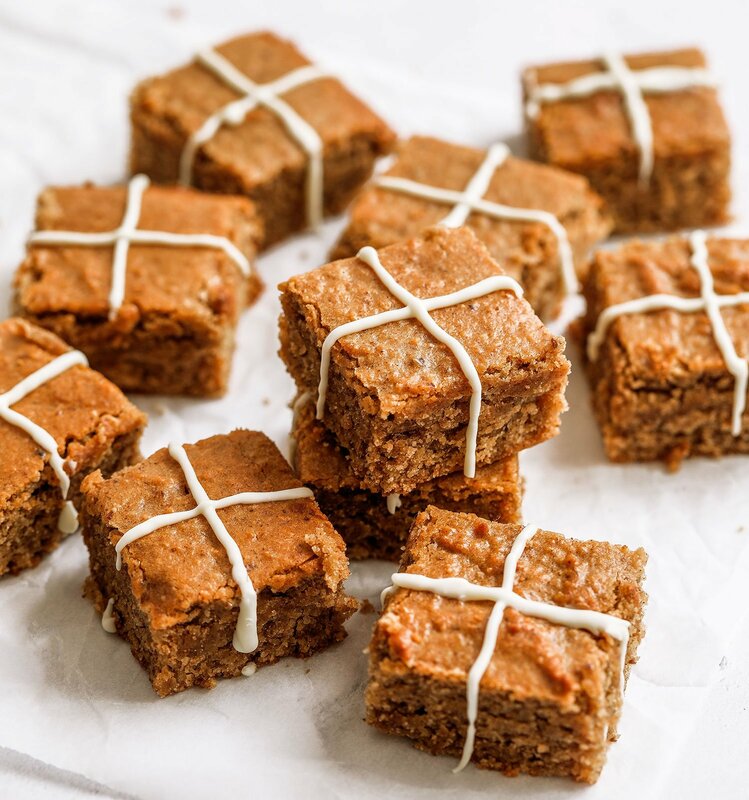 I’m a huge fan of their products and use them all the time in my healthy baking and raw desserts so I was so excited when they approached me asking me to create a recipe for them. 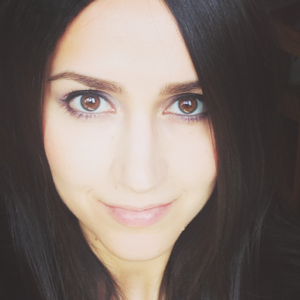 All their products are organic and of high quality and they have a huge variety of different products. 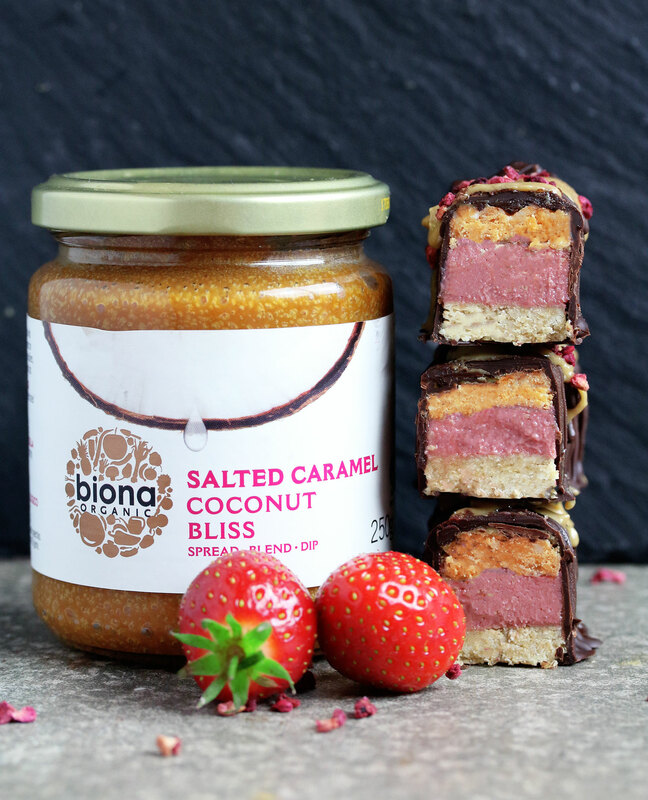 Instead of adding an extra step to this recipe and making my own salted caramel, I turned to Biona and used their gorgeous salted caramel coconut bliss spread. 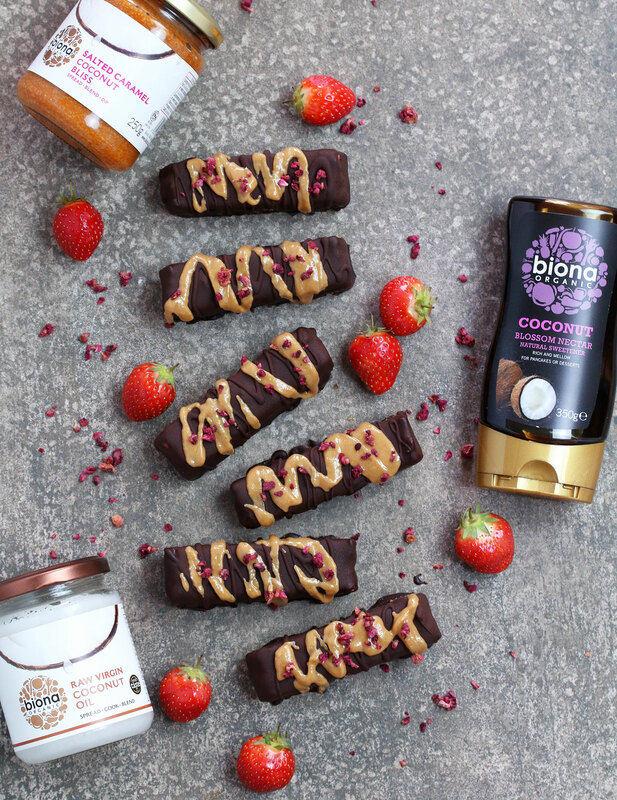 Made with desiccated coconut, coconut milk and sweetened with coconut blossom nectar with a touch of pink Himalayan salt. It was the perfect addition to these lush bars. 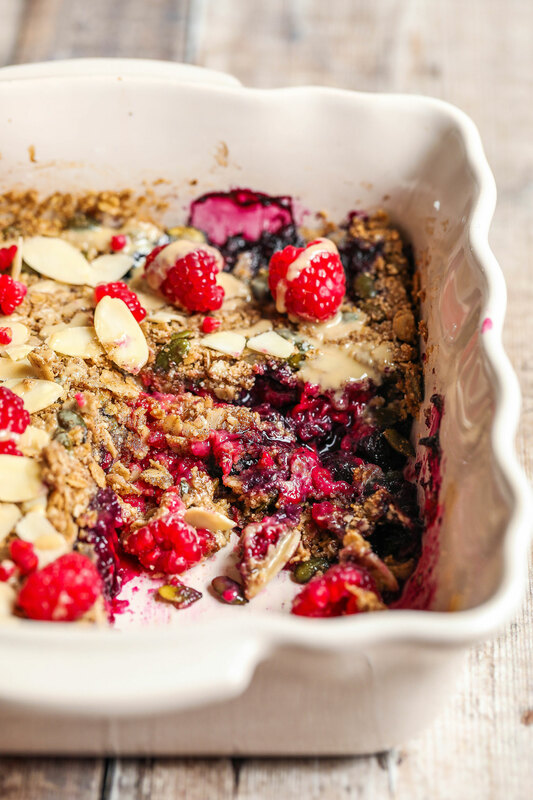 1/2 cup oat flour – plain oats ground up into a flour in the food processor. Use gluten-free oats if allergic/intolerant. Mix all the base ingredients together in a bowl and press into a loaf tin lined with parchment paper. Place in the freezer while you make the filling. Add the cheesecake ingredients to your blender and blend until smooth. Pour over the base and spread evenly with a spoon or a spatula. Return to the freezer and leave to set for 1 hour. 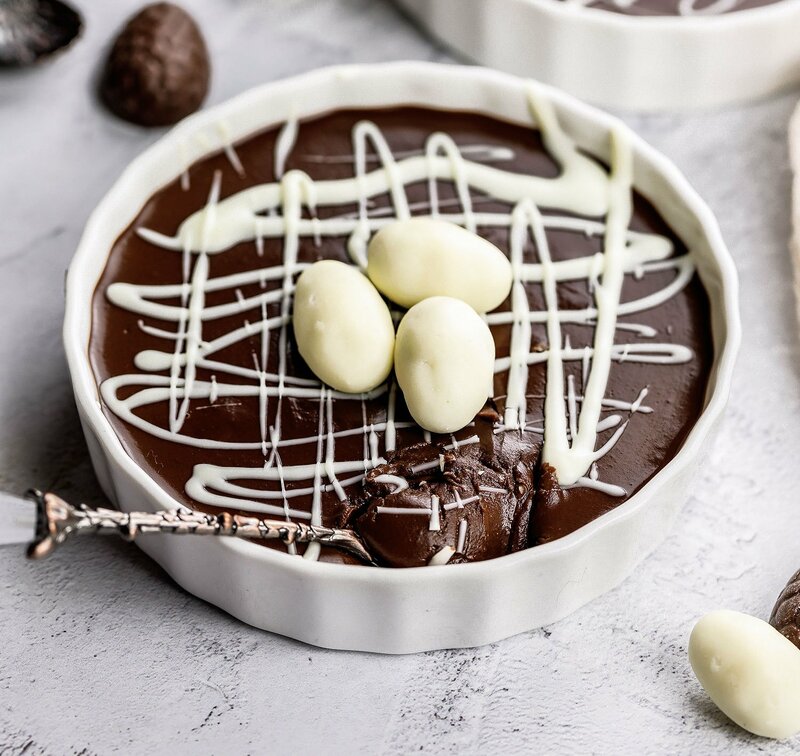 Transfer the salted caramel into a small bowl and microwave for a few seconds to soften making it easier to spread. Spread on top of the strawberry cheesecake and place back into the freezer and allow to chill for another hour. 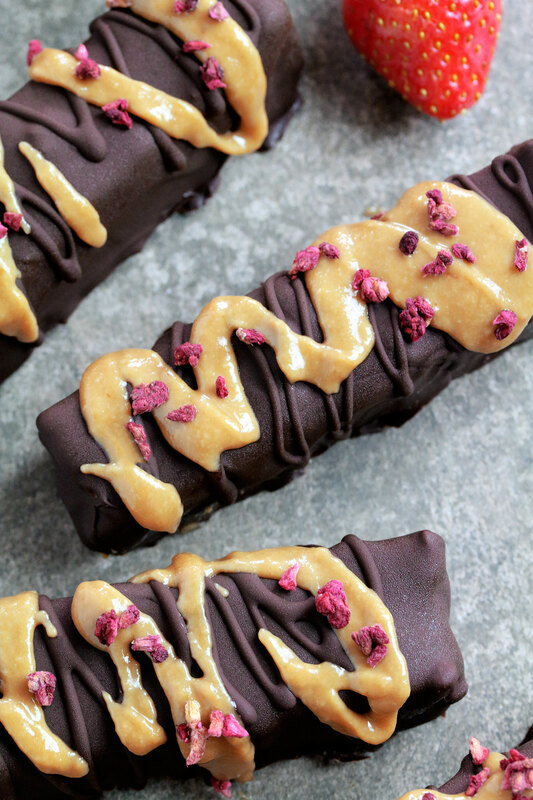 Once set, slice into 8-10 bars and drizzle with the melted chocolate. Store in the freezer and take out 15-20 minutes before serving. This post was commissioned by Biona, however all opinions are my own. 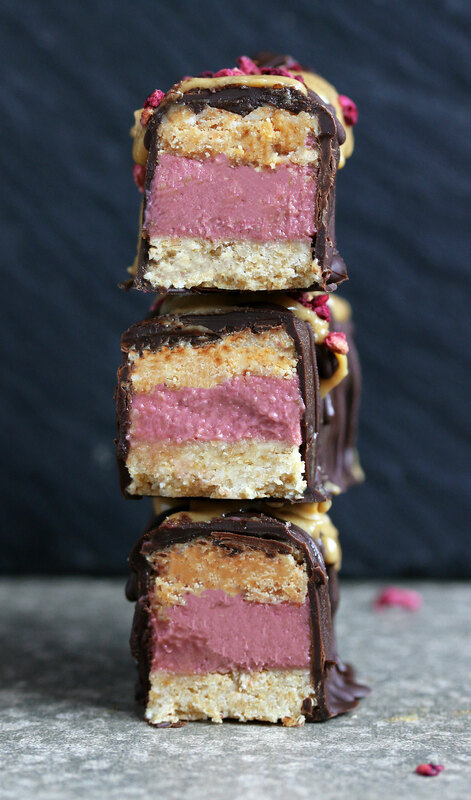 Those layers inside the bar are so incredible! 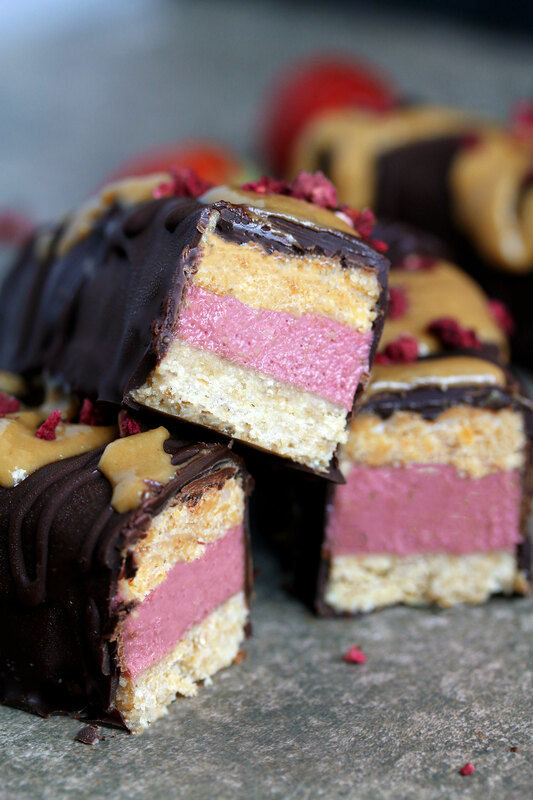 They’re so perfect and remind me of Neapolitan ice cream as a child 🙂 Beautiful dessert creation, as always. I’m always impressed with your creative recipes! Beautiful and delicious! Thought you said cheesecake? Didn’t see any cheese here??? 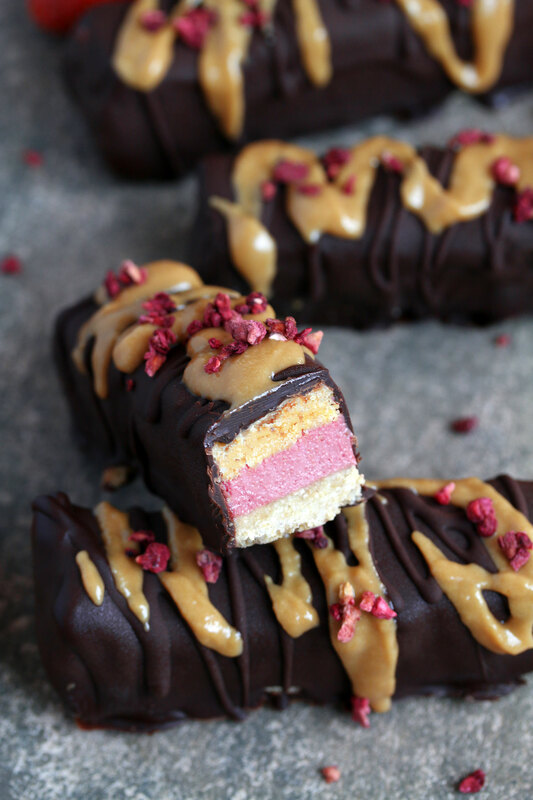 Wow – these bars look absolutely sensational! 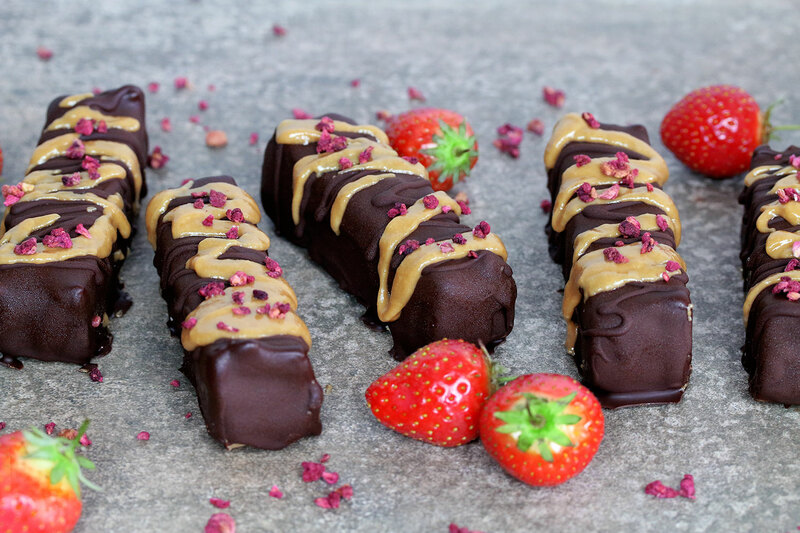 And those flavours… swoon. I need to make these asap. What the holy heck? They look amazing! Gorgeous colours! 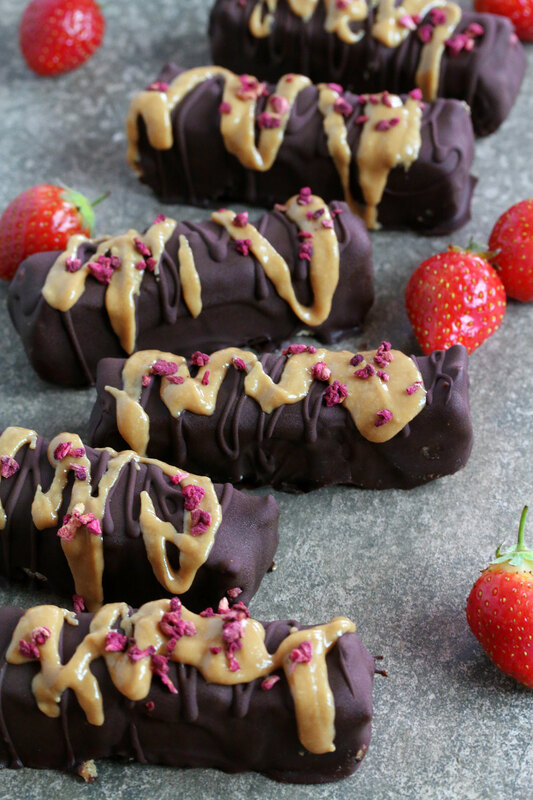 I haven’t tried salted caramel with strawberry – looks fab! These look so good. I love the coloured layers inside, I know that I would love this. They look great for an afternoon slump as well!